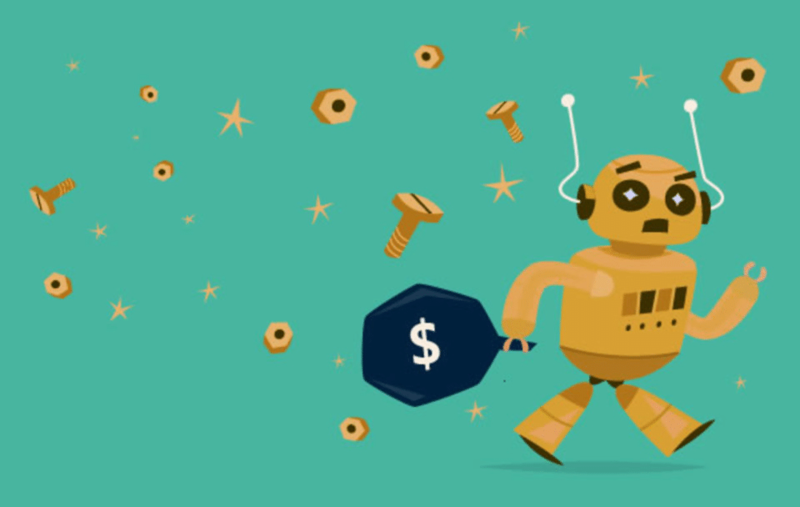 Your overall digital marketing spend is cut short of its worth due to Ad fraud. Many advertisers are still unaware how big the problem is and they wrongly think that their business won’t get affected by Ad fraud. Whether you are advertising on Google or Facebook, you are definitely prone to losing money from Ad fraud if you fail to take proper steps. The fight against ad fraud is growing day by day. As per an estimate provided by Juniper Research, advertisers are set to lose around $51 million per day on ad fraud in 2018, totalling a whopping $13.6 billion over the year. Let’s understand what is Ad fraud and how to keep safe from it. Ad fraud is a scam through which advertisers lose a huge sum of their money to fake clicks, fake traffic and fake leads. Impression Fraud – It is a type of scam where ad impressions are counted without the ad being actually seen by real people. Click Fraud – In this scam, bots or humans repeatedly click on ads without no intention to purchase. 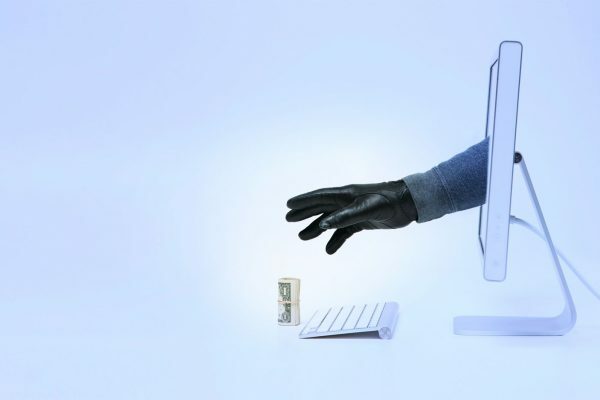 Click fraud is done to generate revenue for the host website. Pixel Stuffing – This type of ad fraud happens when an ad is stuffed in a single pixel meaning they remain hidden from the eyes of the people. It is a type of impression fraud. Ad Stacking – In this practice, lots of ads are stacked within a limited ad placement. It is a type of impression fraud. Ad Injection – This type of ad fraud happens when fraudsters inject ads into a website without their permission. Domain Spoofing – In this scam, low profile websites are being represented as premium ones leading to loss of advertiser’s money. Whenever you run ad campaigns, your ads (both text and display) are featured on the search engines and other websites. The list of search engines and websites are endless depending on your targeted niche. 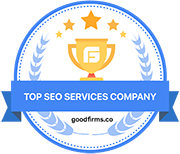 You need to be extremely careful regarding where your ad gets displayed because a majority of websites on the web are useless with no human traffic and they might quickly take up all of your ad spend in minutes. A better solution is to create IP blacklist of websites where you do not want your ad to show up and an IP whitelist of websites where you want your ad to show up. This will ensure that your ad gets displayed on the right properties on the web thereby giving you the highest chances of generating quality leads from your campaigns. 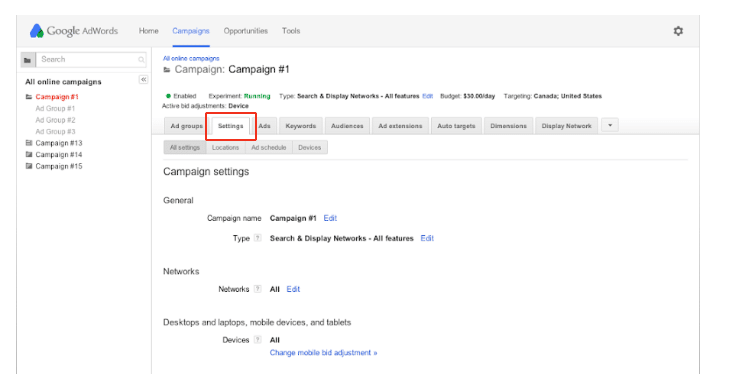 Sign in to your Adwords account and click on the Settings tab under Campaign. Click the Campaign for which you would like to exclude the IP addresses. Move to the advanced settings and click on the IP exclusions link. Click Edit next to IP Exclusions. Enter the list of IP addresses you want to exclude and click Save. Remember, you can exclude upto 500 IP addresses per campaign. Moreover, you can take the help of your hosting provider to create a list of trusted IP addresses or IP ranges from which your users can access your domains. This will make sure your domain is not accessed by bots thereby saving you from Ad fraud. 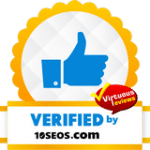 It keeps a track of every click on your ad campaigns and provides a score to every click based on dozens of parameters that helps to filter invalid clicks. 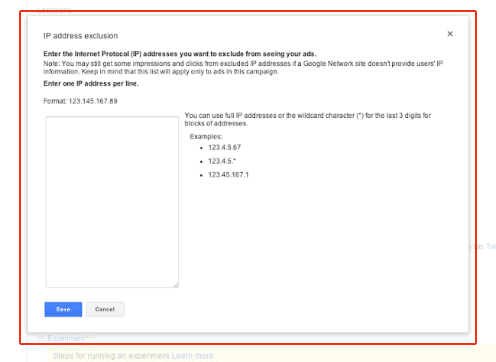 Based on the click score data, fraudulent IPs are automatically excluded from your Adwords campaign. It helps to quarantine most of the fraudulent and dangerous IPs. There is no upper limit. It detects competitors clicks, bot clicks, click farms, accidental clicks and brand haters. Hence it helps to keep your campaigns totally safe from any fraudulent activities. You can set custom rules to block IPs tailored to your business. Move to the “Advanced settings” section and click on Ad delivery: Ad rotation, frequency capping. Click on “Frequency Capping” and enter the number of impressions you wish to run for your ad. Take the help of your demand side platform to fetch pre-bid contextual data segments that automatically avoids the Ad fraud altogether. 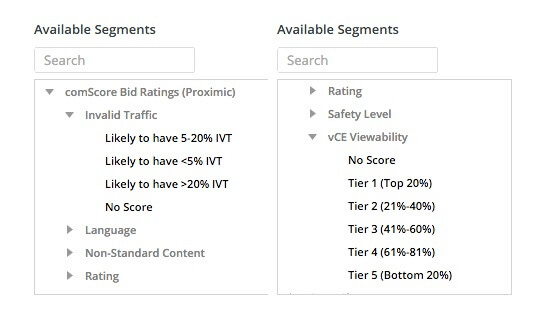 Some demand side platforms like ComScore and Ad Science offers pre-bid segments with specific levels of invalid traffic. Based on the available tiers you can select your own inventory ensuring that your campaigns gets seen by humans instead of bots. Digital advertising can be a big success only if you take proper steps to eliminate Ad fraud from your campaigns. It is necessary to keep a track of your digital advertising spend especially on video campaigns. Following the above steps will definitely help you to get rid of fraudulent activities and make sure that your campaigns deliver the highest ROI.